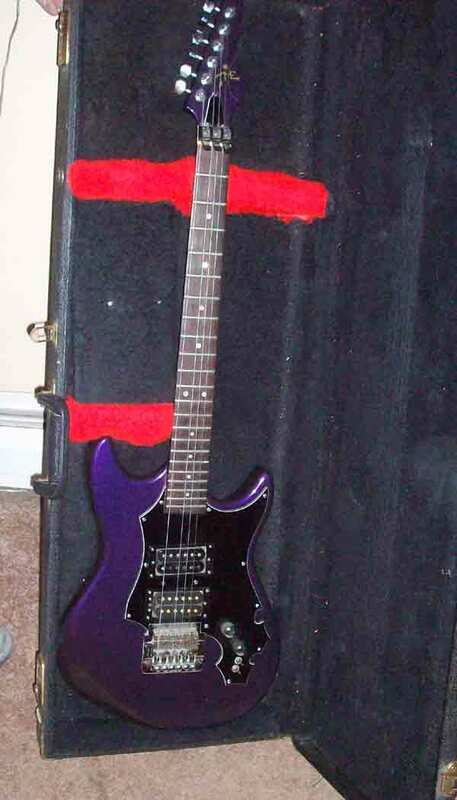 I have a Purple Time Electric Guitar that I picked up a while ago. I was wondering if anyone had anymore inoformation regarding it. 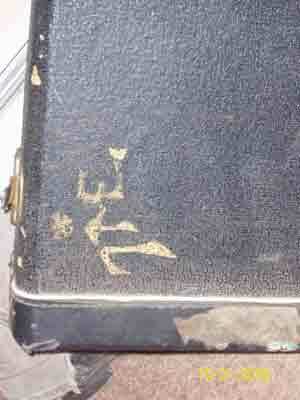 The guitar has the marking TC1-457 stamp on the bottom of the neck. It is in the orginal case mark time in the upper left hand corner. I have pictures but, unsure of how to post them. Please help. Also, I was wondering do these guitars hold any value to them? You can send the pics to me at Chris@TimeGuitars.com and I'll post for you. It sounds like you have a late Time Caster with a single pickup? And yes these guitars have value! Can you please let me know the value this or these gitars hold. I am very intrested. I e-mailed you the pictures. Hope you recived them ok. Thanks again for all your help. 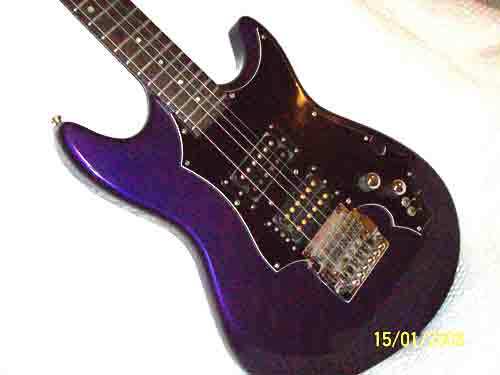 The TC-1's had a single Humbucker with a volume & tone. 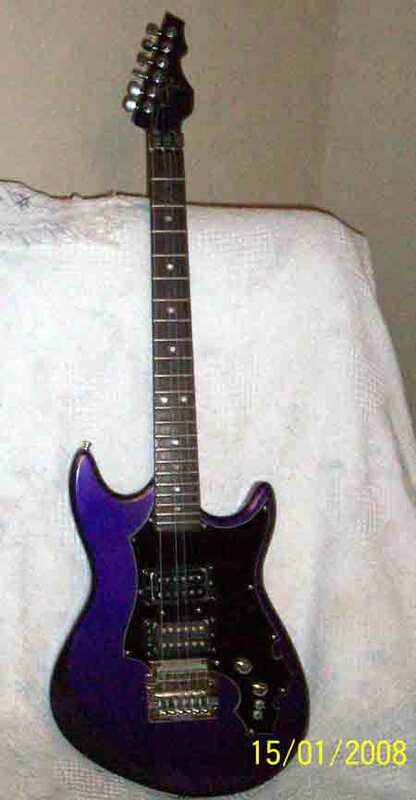 This one has been altered with different pickups [with rings] and switching. The Kahler has a locking nut which I had completely forgotten about. 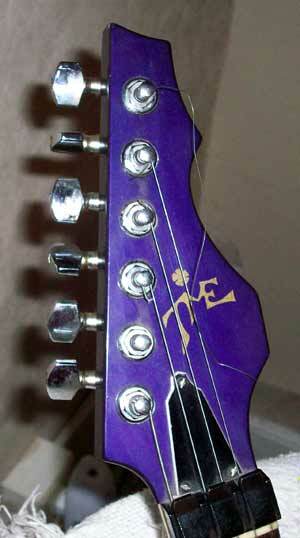 The color is a purple which we first produced for Paul Devlin's Time guitar arsenal. He had several Time's in this color. It was kind'a his trademark. Paul lived in Venice beach, CA. All his guitars were stolen about 25 years ago. His Time Caster was a TC-9 with all the candy. I'm sure if he saw this guitar, he'd want to buy it in a heartbeat! Well, Thanks for the information. I have not made any modifactions to it myself. If there are I bought it that way. Who is Paul Devlin? 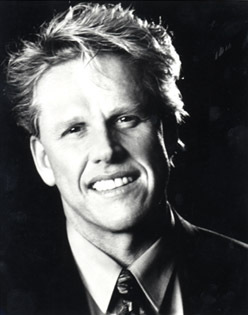 WOW, Just when you thought it was safe to surf a guitar site...BAM There's Gary Busey! Hi! My first post here, I own a GS-12, #106. I'll send pix to the pix link. In the meantime here's one of the purple gs from California, on eBay last week, didn't sell. Glad to find this site! What amazing guitars!